Joe Panik hit a home run off Los Angeles Dodgers’ All-Star closer Kenley Jansen on Friday in the ninth inning, which ended up being the only run in the San Francisco Giants 1-0 victory over the Dodgers. The scene has become a familiar one as Panik hit a solo home run off Clayton Kershaw the Dodgers ace on Thursday, and that run ended up being the only run scored in the Giants’ Opening Day 1-0 win. Panik said following the game on Friday that his swing felt good during spring training and he has carried that early momentum to the start of the regular season. Panik added that hitting two homers in two straight games off pitchers like Kershaw and Jensen is a great felling and not something you expect or try doing. 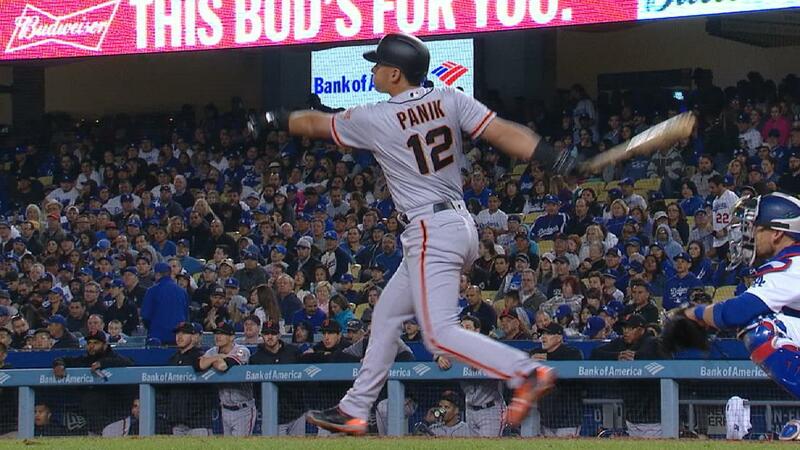 According to sports statistics online, Panik is the first Major League Baseball player to hit a home run in two straight games that ended in 1-0 wins. That in itself is an impressive feat, but add in the fact it was done at Dodger Stadium, in the first two games of the season, and off Kershaw and Jensen and you can consider it almost an unbelievable feat. Giants’ manager Bruce Bochy thought Panik’s home run Thursday off Kershaw would go foul but it stayed fair. However, it was the second home run off Jensen and the game ending at 1-0 for a second straight night that surprised Bochy the most as he called it something he had never seen before. He was right. Hits and runs have been hard to come by during the season’s first two games between the two National League West rivals. On Friday, the two teams combined for three hits. Prior to the home run by Panik the only other hit by the Giants was an infield single by Brandon Crawford in the sixth off Dodgers’ starter Alex Wood. San Francisco starter Johnny Cueto was perfect entering the seventh inning before Chris Taylor’s solid single to lead off the inning. The Giants are surely savoring the wins over their arch rival but even more important is the fact the pitching staff for the Giants is minus three important players to begin the season. Starters Jeff Samardzjia and ace Madison Bumgarner and closer Mark Melancon have all started the season on the team’s disabled list. Last season San Francisco lost 98 games and did not win any game 1-0 during the 162-game season, but have already done that twice this season.